﻿ Portugal 1-0 Denmark. EURO 2016, here we go! 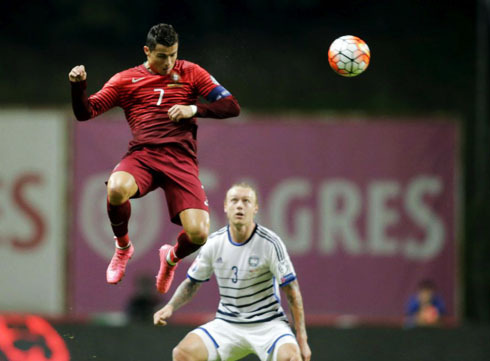 08.10.2015 » Portugal 1-0 Denmark. EURO 2016, here we go! Portugal have earned their ticket to the EURO 2016 tonight, after beating Denmark 1-0 at home and securing the first spot in Group I. After a goalless draw at the end of the first half, the only goal of the game arrived in the 66th minute and was scored by João Moutinho. It turned out to be an easier campaign than most had anticipated a year ago, but Portugal managed to find the right track to the EURO 2016 and have sealed their qualification tonight by beating Denmark 1-0 at the Estádio Municipal de Braga. 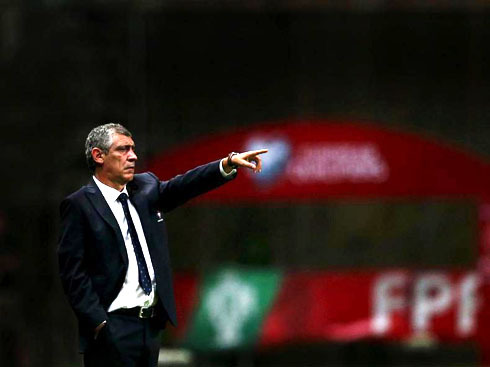 The Portuguese players brought on their high determination and work-rate levels, something which they've been recurrently doing ever since Fernando Santos took over as manager, when he replaced Paulo Bento back in September of 2014. 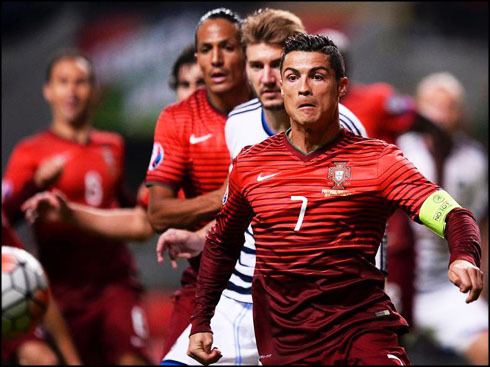 Even though Denmark did manage to keep Ronaldo at bay and unable to score throughout the whole game, it would be AS Monaco midfielder João Moutinho striking the decisive blow in the second half and sending Portugal to France next summer by advancing on the top of the standings in Group I. In goal, Rui Patrício kept another clean sheet, his 4th out of the 7 fixtures played so far during this qualifying campaign. The left full-back was Fábio Coentrão, while Southampton's Cedric Soares took on the right side. In the center, Ricardo Carvalho and Bruno Alves paired up, as they attempted to make Pepe's absence the less felt as possible. 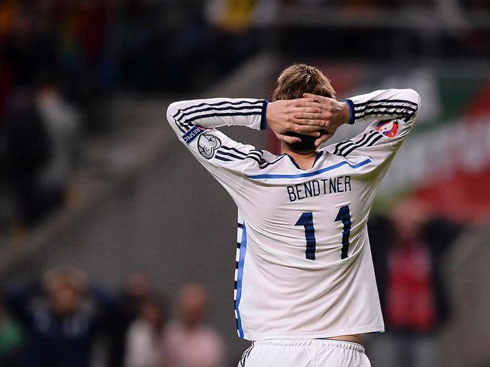 With a goalless first half and Denmark in a desperate need of a win, it was highly unlikely that this game would come to an end without neither of the teams scoring. 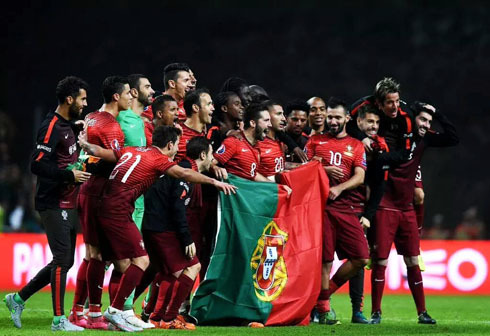 And so it was... Portugal managed to capitalize on a bad clearance that came off a corner-kick cross, with João Moutinho picking up the ball still outside the box, getting rid of two defenders in front of him and then finding the back of the net with a well placed and strong shot. Kasper Schmeichel couldn't have done much more there and Portugal had just grabbed a very precious lead that would allow them to approach the remaining of the game knowing they had a 2-goal cushion over their main goal of earning at least 1 point this Thursday night. As expected, the game opened up a bit more for the final minutes, but neither Portugal nor Denmark were able to change the scoreboard any further. 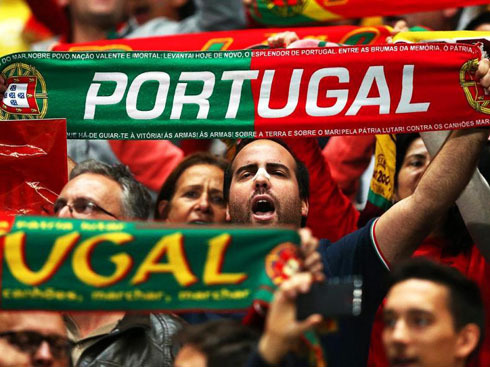 With tonight's win and their 6th victory in a row in these European qualifiers, Portugal secured the first place in Group I and booked their ticket for next summer's EURO 2016, which will be held in France. Attackers: Bernardo Silva, Nani, Cristiano Ronaldo. 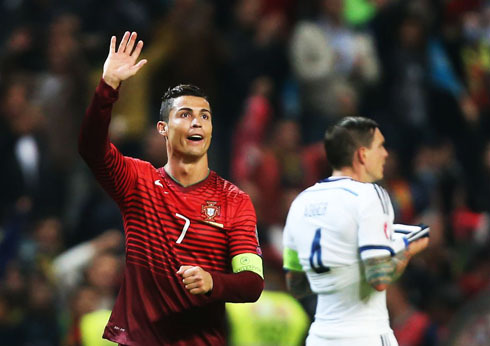 Cristiano Ronaldo next game will be for the Portuguese National Team on the 11th of October of 2015, against Serbia. You can watch Juventus live stream, Serbia vs Portugal, Spain vs Luxembourg, England vs Estonia, USA vs Mexico, and Czech Republic vs Turkey, all matches delivered in our streaming live game pages.